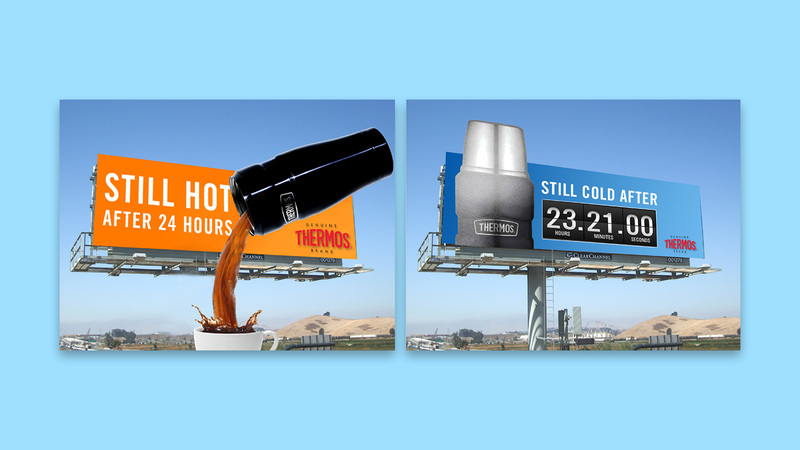 While interning at Bernstein-Rein, my team was tasked with developing new advertising concepts for Thermos Brand that would appeal to the millennial demographic. We focused heavily on themes of technology, humor and nostalgic memories. 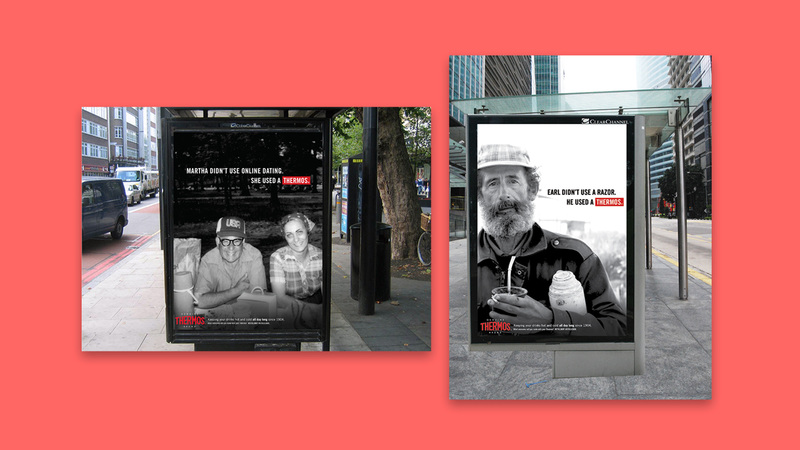 I worked directly with a copywriter on several creative campaigns. We also worked closely with team members in the social marketing, account management and media departments of the agency to create 3 separate advertising campaign directions. To conclude the case study, our team pitched the campaigns to executives at Bernstein-Rein. This was an advertising case study and is not currently in use. To present the historic Thermos to millennials in a fresh and interesting way, we used several nostalgic images combined with modern typography and humor as a way to bridge the gap from old memories to new. 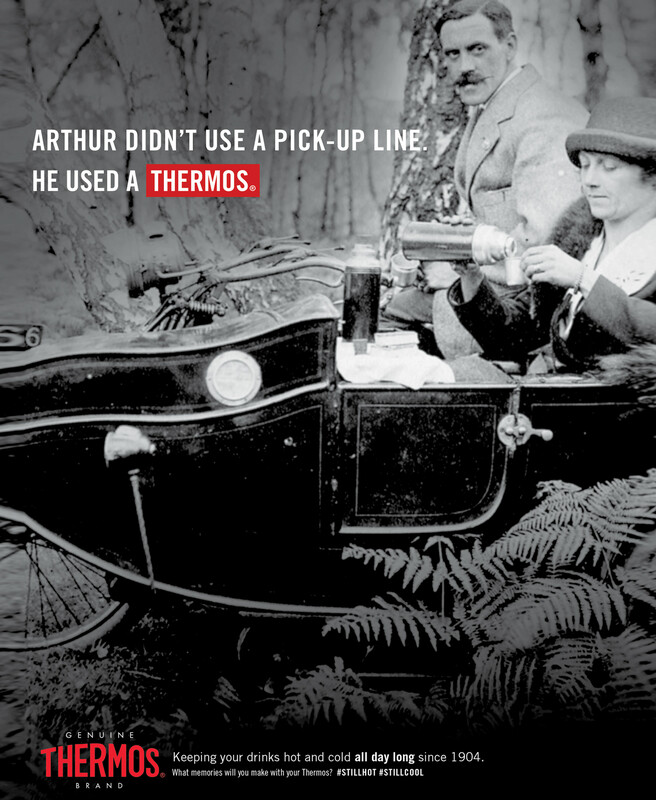 "Thermos has been around for more than 100 years. 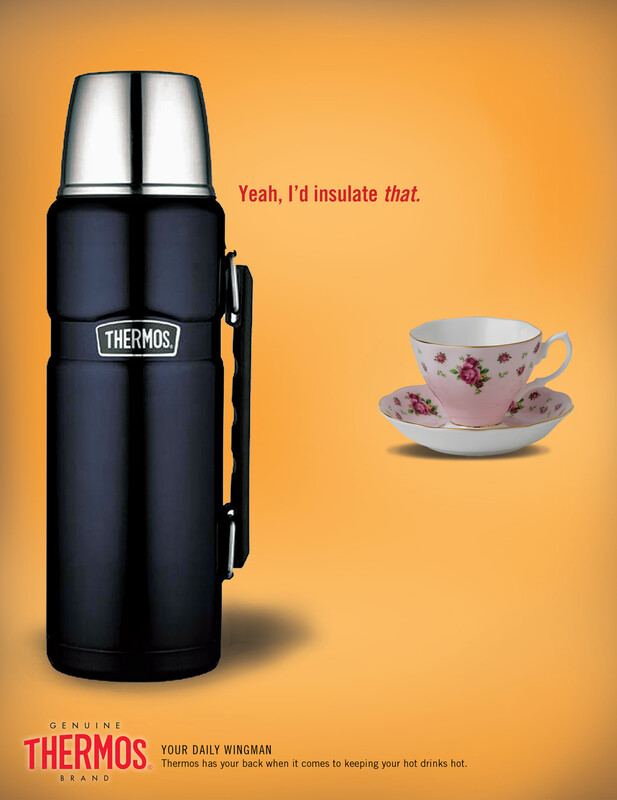 So, if Thermos could talk, they would have over a century of memories to retell. To capitalize on this, our campaign focuses on the past memories people have had with their Thermoses as a way to encourage incoming millennials to create memories of their own. 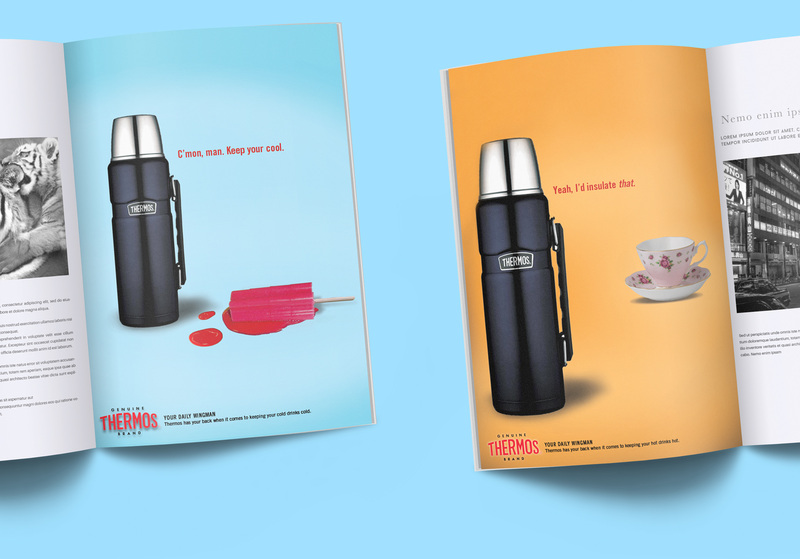 In short our campaign asks, what memories will you make with your Thermos?" 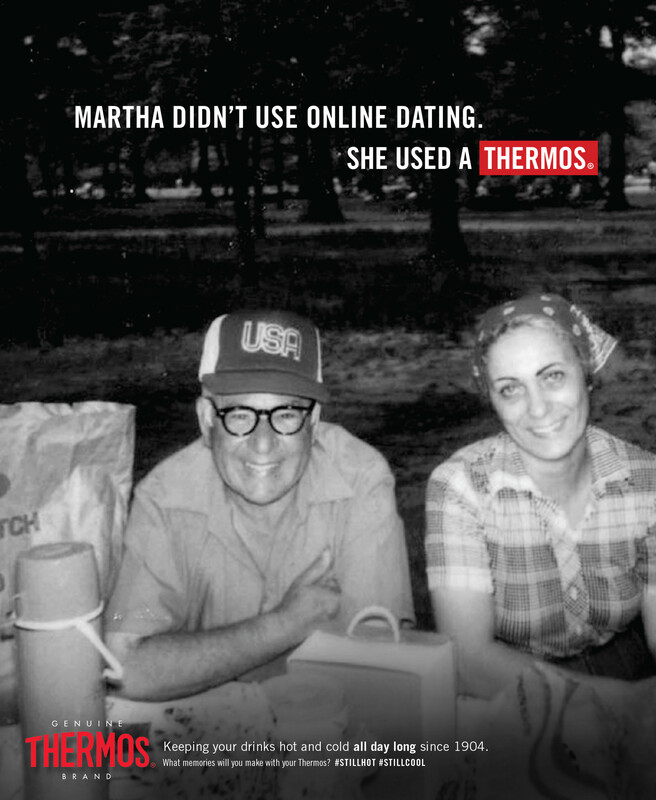 Users can upload photos on Instagram or Twitter and hashtag #thermosmemories. 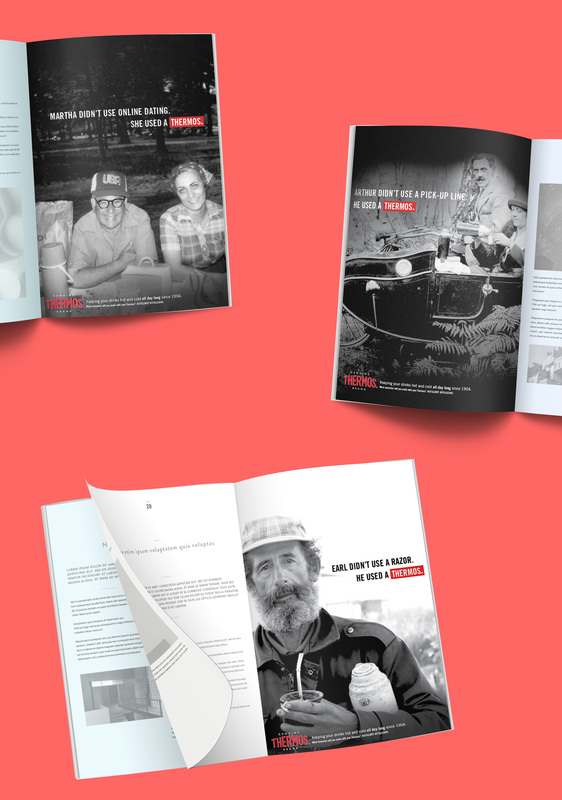 This microsite pushes the content into an endless experience of Thermos memories. 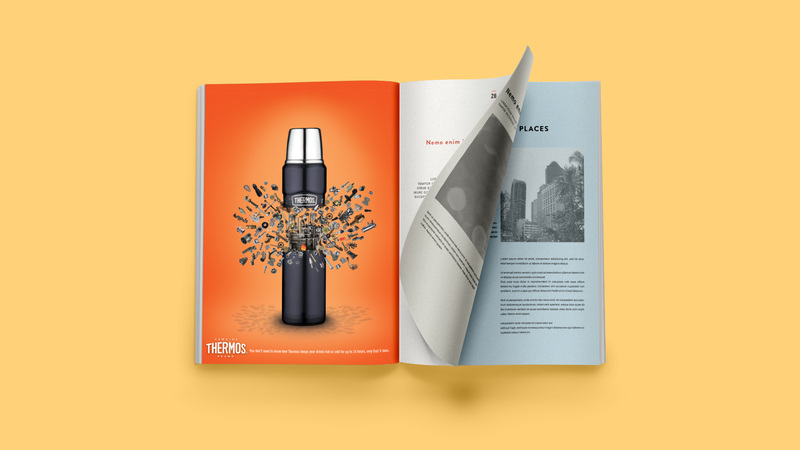 This campaign focused on the literal depiction of the technology behind the Thermos Brand. 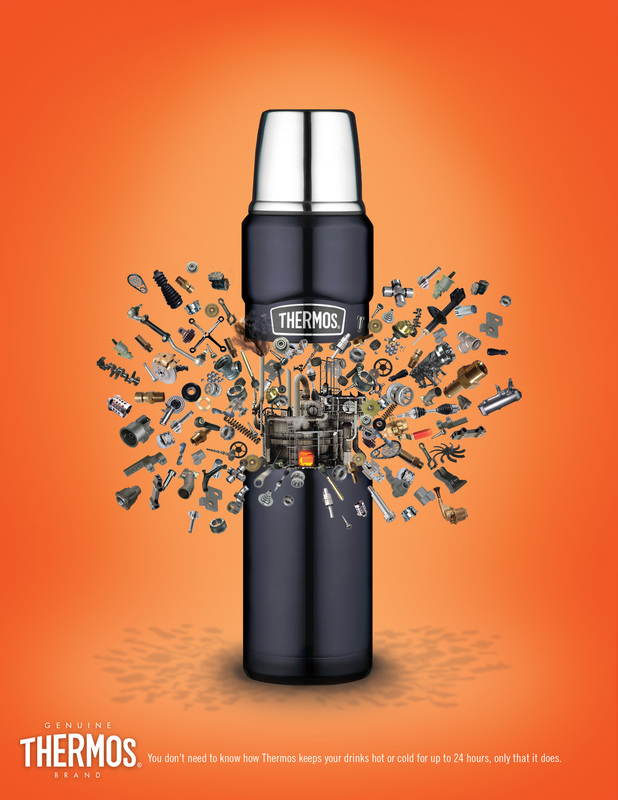 We wanted to over emphasize the inner workings of a Thermos bottle to depict the technology that no other brand has when it comes to keeping your drinks hot or cold all day long. 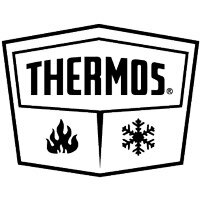 "Ever wonder why your drinks stay hot or cold for an entire day in a Thermos brand Thermos? We could brag about our airless vacuum insulation technology, or perhaps our mugs’ double-walled stainless steel construction. But in the end, all you need to know is that it works." Staying current with millennial trends, the Daily Wingman campaign focuses on the hectic lives of its users in humorous, yet informative ways. 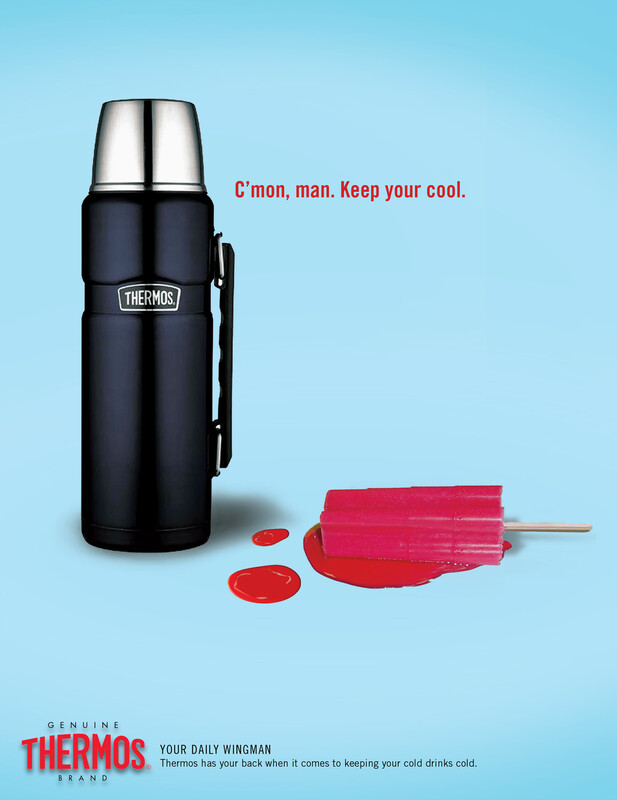 "Thermos knows you have bigger problems to take care of than making sure your liquids stay hot or cold. 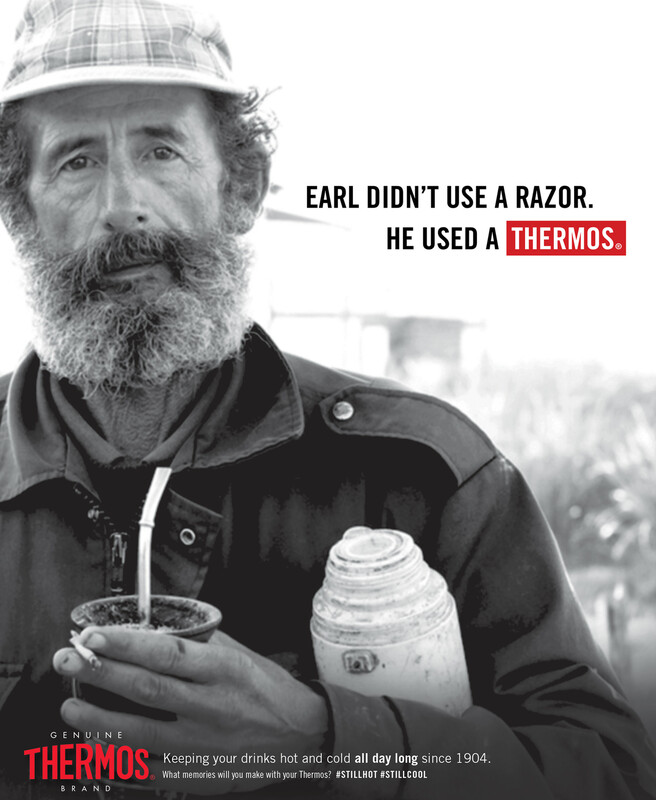 That’s why Thermos makes bottles that take of that for you, so you can now spend more time doing whatever it is you do. 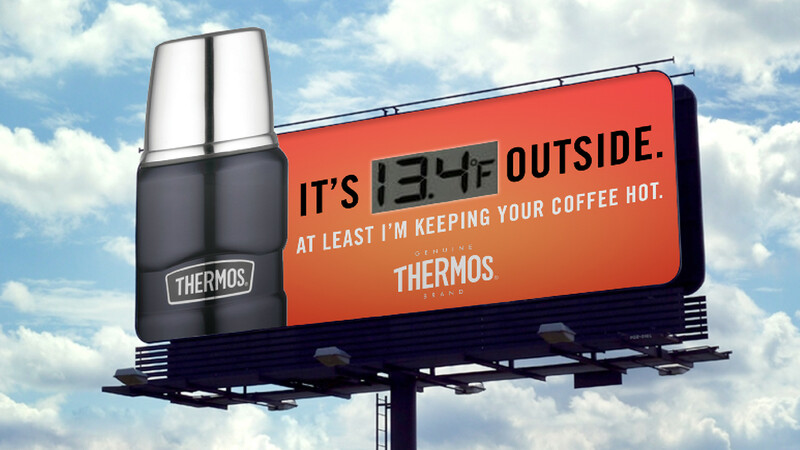 Thermos is that vital support element to help get you through your day. 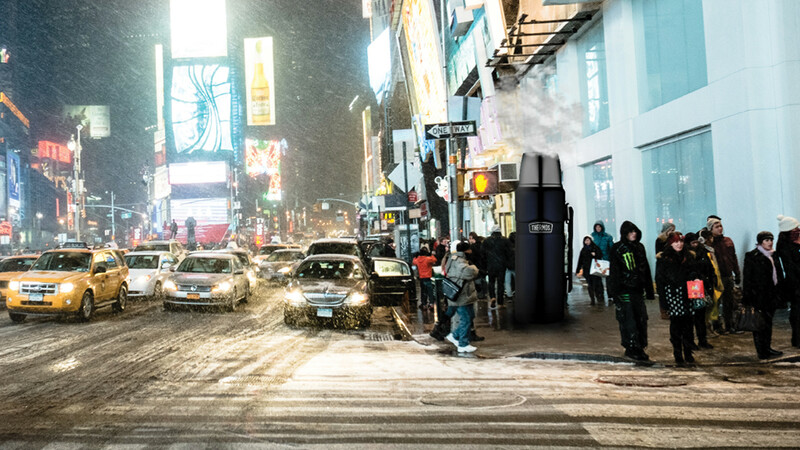 This concept will position Thermos as a daily necessity by comparing it to “Your Daily Wingman”. 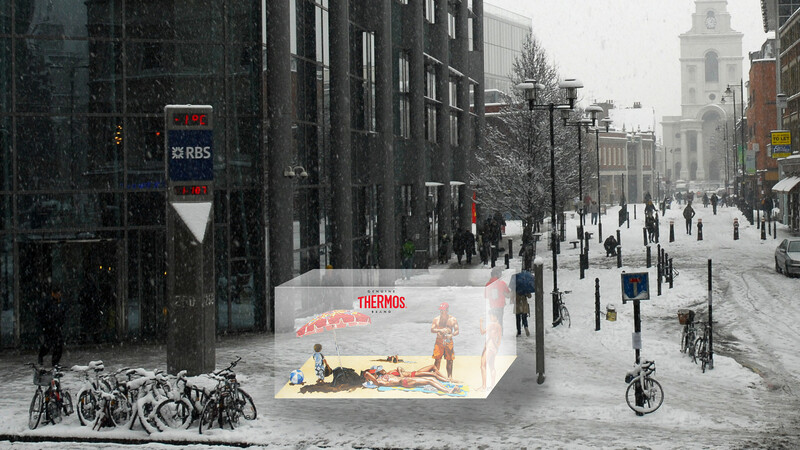 We explored concepts for experiential advertising for Thermos. These include a Thermos truck with cold drinks at summer festivals, a glass box depicting warm weather in winter settings and life sized Thermos space heaters.